The HP rp3000 has been discontinued. No direct replacement is available. Increase functionality and manage multiple aspects of your retail operation with the HP rp3000 POS system, which offers retail-ready components not found on a PC, plus an Intel processor, durable form factor, and three-year limited warranty. Whether you need a platform for a POS solution to process customer transactions or a manager's workstation, the HP rp3000 POS system gives you the flexibility to standardize on the same hardware and image throughout your store. 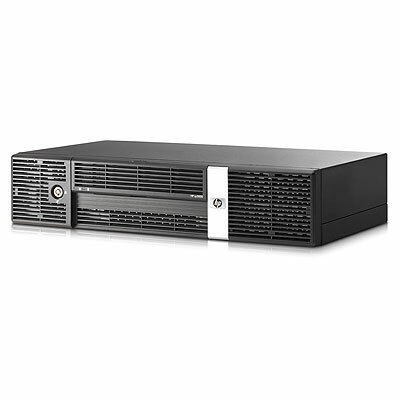 The HP rp3000 POS system boasts a steel chassis and extensive on-board monitoring, an efficient Intel Atom processor, and oversized cooling system that add to the lifespan of the system and increase your savings. Small form factor POS workstation. Intel Atom processor, 160GB hard drive, 2GB RAM, Microsoft Vista OS with downgrade to XP Professional. Keyboard and mouse not included. SmartBuy bundle, INFOTOUCH, includes touch screen and peripherals.